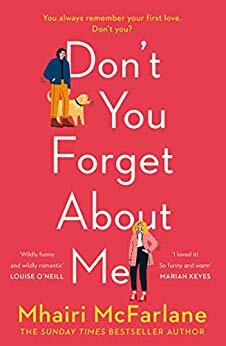 Delightful news as Mhairi McFarlane is returning to our bookshelves in the Spring of 2019, with her new book called ‘Don’t You Forget About Me’. I absolutely loved Mhairi‘s previous books, with catchy song titles that stick in your head for months. I can’t wait to get stuck into this book! You can pre-order Don’t You Forget About Me from Amazon and will be available to buy from good bookshops from 7th March 2019.